Martin Joseph is the ultimate Frank Sinatra & Rat Pack Performer. Martin's performance shines with pure polished elegance and a vocal delivery that has to be heard to be believed. Martin Joseph is rated as one of Europe's top Rat Pack singers. His unique Frank Sinatra Tribute Show encompasses all of "Old Blue Eyes" favourite tunes in a vibrant performance from start to finish. Hearing is truly believing, as Martin has Sinatra's voice and moves down to a tee. Martin also does an amazing interpretation of Dean Martin and several Sammy Davis numbers. He is often referred to as a "One Man Rat Pack". Martin has been singing for most of his adult life and started to perform as “Frank” a little over fourteen years ago. He has performed the role of Sinatra in the multi-award-winning “Rat Pack – Kings of Swing” show and now performs with The Rat Pack Live throughout Europe. He performs regularly in Sweden and Denmark with the renowned XL Big Band and has even performed his one man show in the legendary Riviera Hotel in Palm Springs USA on the same stage that was trodden by Frank, Dean and Sammy in the mid 1960’s. A major highlight was his performance on Frank Sinatra's birthday 12th December 2009 at a corporate awards ceremony in Caesars Palace, Las Vegas. 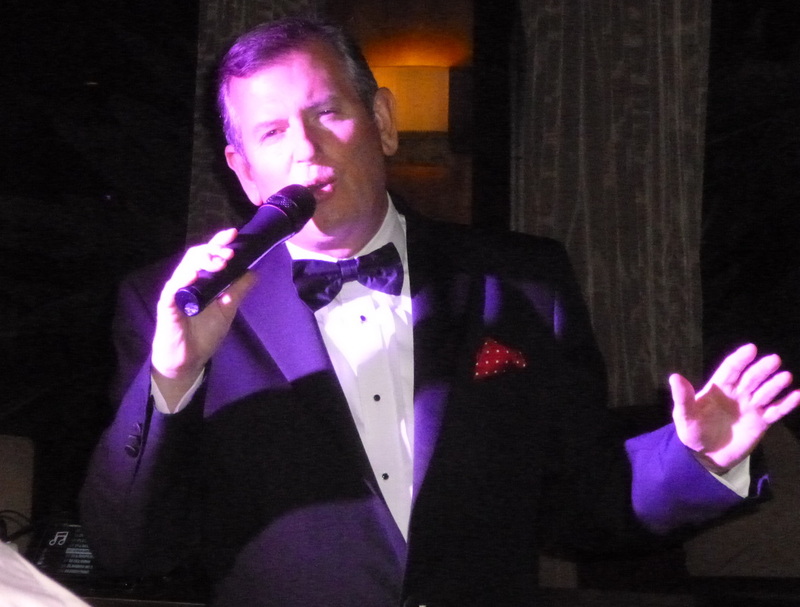 Martin performs solo and with “The Rat Pack Live” in corporate events, weddings and quality venues throughout the UK, Europe and occasionally the USA. As well as all of the Sinatra and Rat Pack favourites Martin performs dance hits from past and present, guaranteeing a full evening of top quality entertainment. Perfect for every event and celebration (especially weddings), the Martin Joseph Show should not be missed! ﻿﻿Martin Joseph is in huge demand for weddings in Spain, the UK and Europe. He brings class, elegance and warmth to every wedding, making your day even more memorable for you and your guests.